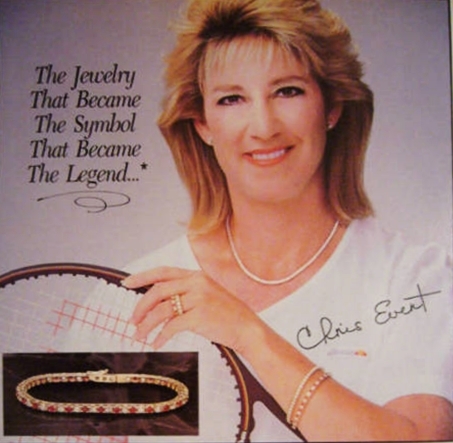 See our “Tennis Bracelets” here and at any of our Jewelry Warehouse locations! This entry was posted in Celebrity Jewelry, Diamonds and tagged chris evert, diamond bracelet, diamonds, Jewelry, tennis bracelet. Bookmark the permalink.